3. 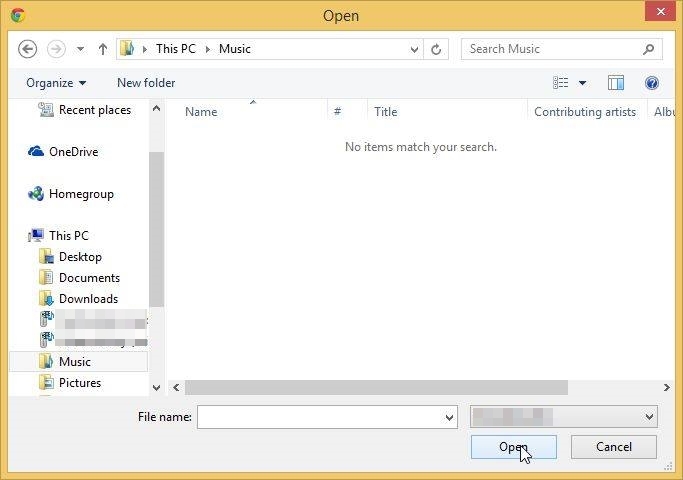 By clicking SELECT FILES you will open the file explorer on your computer. 4. 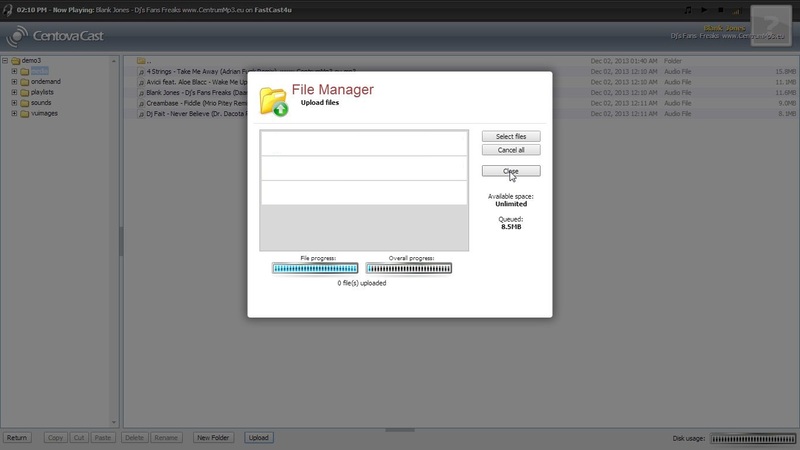 Select the desired files and click OPEN. 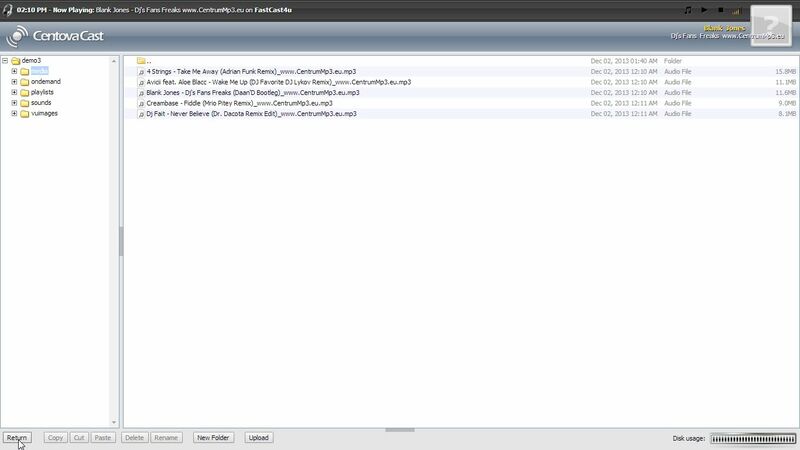 You can choose MP3, M3U and WMA files. 5. After you have finished uploading all files click CLOSE. 6. 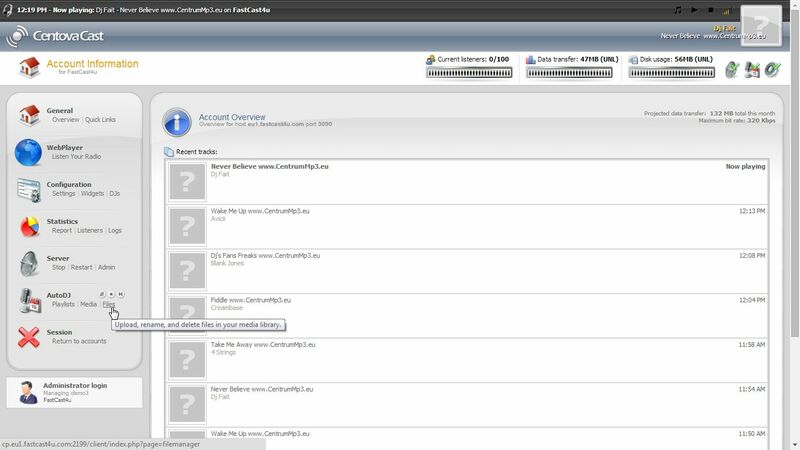 In order to go back to the main Centova Control Panel click RETURN at the bottom of the page.